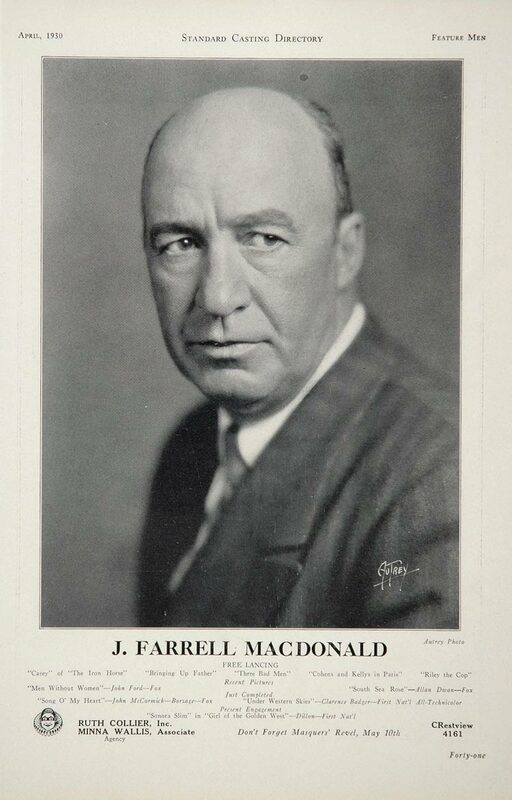 Connecticut born J. Farrell MacDonald had a career or three in show business. He began as a minstrel performer and by the teens was directing for L. Frank Baum's Oz Film Manufacturing Co. and making a name for himself as a reliable character actor. 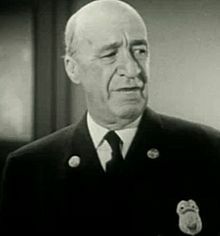 Working until the last few years of his life, MacDonald's face can be spotted in hundreds of movies as a cop, a doorman, a doctor - always in support, but always more than a "bit". Outstanding roles include Mike Costigan, one of John Ford's 3 Bad Men who break your heart in 1926. He's adorable as the photographer in F.W. Murnau's Sunrise. The sympathetic Windy in 1936's Show Boat or the junk man in 1946's A Tree Grows in Brooklyn become memorable in MacDonald's hands. In 1935's Our Little Girl when runaway Shirley Temple encounters a hobo, we know it will be alright when "Mr. Tramp" is played by J. Farrell MacDonald. He worked, and he worked with the best. Movie fans all have our favourite moments from our years of watching classic movies. Maybe they're not always the ones that make the AFI lists, but nonetheless, they touch us. Three of my favourite movie quotes all came out of the mouth of J. Farrell MacDonald. 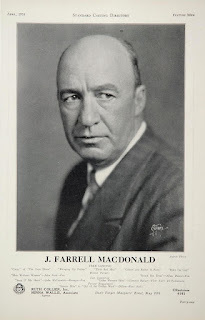 MacDonald made 25 pictures with John Ford starting in the silent era. What times they must have had! 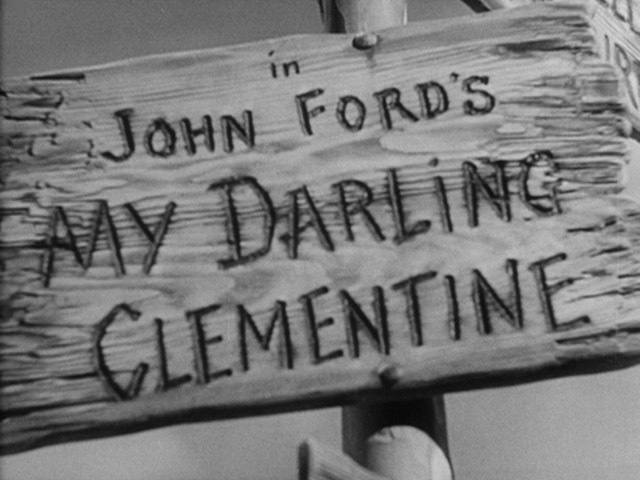 Number 1 on my JFM countdown is from Ford's first post-war film, My Darling Clementine. 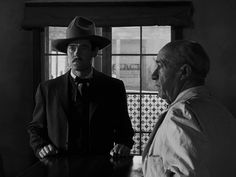 In speaking with other western fans I know that I'm not the only one who anticipates the small exchange between Henry Fonda's Wyatt Earp and MacDonald's barkeep. Wyatt: Mac, have you ever been in love? Mac: No. I've been a bartender all me life. In his real life, MacDonald was married to actress Edith Bostwick (1882-1943). The couple appeared together in silent films and were the parents of a daughter, Lorna. Preston Sturges was a writer/director who knew a good character actor/actress when he saw one, and he used them well. He used J. Farrell MacDonald in 8 of his pictures from The Miracle of Morgan's Creek to The Sin of Harold Diddleback. 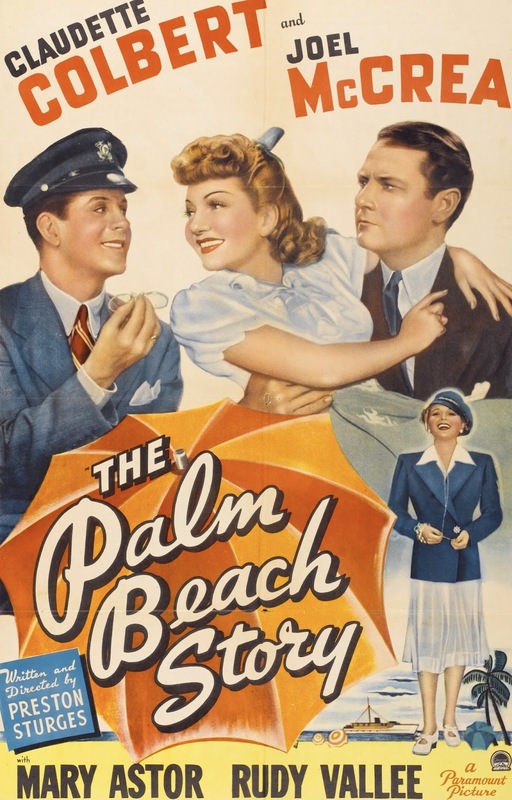 In The Palm Beach Story, MacDonald is cast in the familiar guise of a cop. One look at that mug and you can feel his aching feet. It's no wonder Joel McCrea's character refers to him as "Mulligan". The response "The name happens to be O'Donnell if it's all the same to you" speaks volumes. His admonishment to bickering couple McCrea and Claudette Colbert is #2 on my countdown. "Why don't you two learn to get along together? I had to." 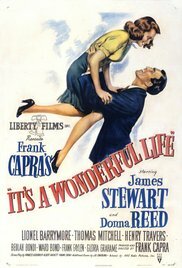 It's the time of year when all thoughts turn to Frank Capra's first post-war project, It's a Wonderful Life. The trio of directors represented here all had their "stock companies" and that use of character greats maybe one of the factors that give their films such lasting qualities. 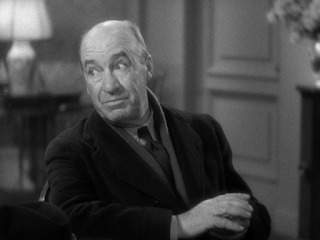 MacDonald has three Capra pictures to his credit, including "Sourpuss" in Meet John Doe. In It's a Wonderful Life the newly not born George Bailey is seeking evidence of his existence. He goes looking for his car, which was last seen smashed into a tree. The substantial citizen of Pottersville who owns the tree is rightly suspicious of the overwrought stranger in his yard. Sizing up the situation and taking a whiff of Stewart's breath JFM sums up the situation with #3 on my list. "You must mean two other trees." Gems all! What other J. Farrell MacDonald gems are waiting for me in classic movieland? Were they gems on paper or did they become so in the hands of the right actor? What do you think? Love this tribute to Mr. MacDonald, one of my favorites. I like the line in "My Darling Clementine" when he is asked if he is married, and he replies, "No. I've been a bartender all my life." Nothing so endearing, so welcome to the heart as a familiar character actor. We know them better than the stars; we are closer to them. It's true what you say about being closer to the character actors. It's easy to imagine Jimmy Gleason or Margaret Hamilton at my kitchen table. Holy smokes, that was that guy?! The same fella that shouted at George Baily was a bartender his whole life! Caftan Woman, you did it again. Hey, novabreeze, glad to introduce you that fella you've known all your life. I live in his hoemetown and got him elected to our local hall of fame. Check out the bio I researched and wrote for his HOF placque. It seems the Url didn't show. brasscity, thank you so much for that link full of fascinating. The fact that J. Farrell MacDonald sang grand opera endears him to me tenfold.